Heathley was established in 1977 to provide specialised managed investment services to a niche market of high income earners and high net worth individuals. Since 1990 Heathley has specialised in unlisted property syndication, and has established 37 funds with a combined value of over $900 million. Heathley currently manages 22 commercial, industrial and medical properties across 9 funds, with a combined value of circa $350 million. The Directors and senior management of Heathley have extensive experience in funds management, property, private equity and banking. This includes the assessment of passive and development property investment opportunities, and the establishment of investment funds and property finance. The Heathley Direct Medical Fund responds to Heathley's thematic investment approach, aimed at providing investors with an attractive and stable level of income from property that will benefit from the unique and growing demand drivers of the heathcare sector. Specialist centres (i.e. day surgeries). The Fund has invested in 11 medical properties totalling over $80M that are 100% leased on long term leases to over 20 blue chip medical operators (Sonic Healthcare, Healthscope, St Vincent’s, Pulse etc…). The fund intends to grow to $150M with targeted selection of well leased medical property over the remainder of 2016. Multiple exit options, including unique portfolio sale targeting institutional investment, at a time when both investor and tenant demand is forecast to have increased. Creation of such a portfolio is expected to generate a significant premium and therefore enhanced capital growth for investors. Following the Investment Period, it is the intention of the Manager to hold the portfolio for a period of up to five (5) years (Portfolio Management Period). During the Portfolio Management Period the Manager will position the portfolio for sale with the intention of returning capital and the potential for attractive capital growth to investors. This single Property located at 20-22 Mons Road, Westmead NSW was purchased in June 2014 as a recently developed, high quality medical office building central to Westmead’s health precinct. It provides total lettable area of 2,898 square metres together with basement and rear car parking for 63 vehicles in an ideal medical use location. 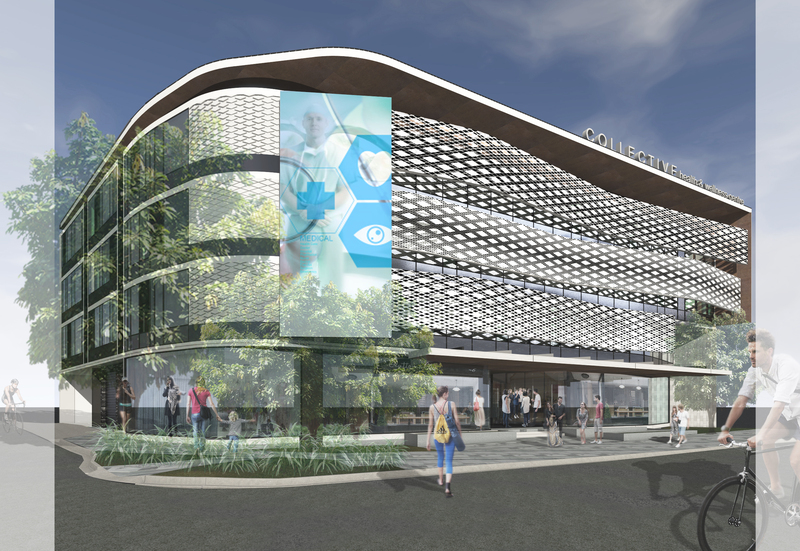 Westmead is a thriving medical precinct comprising the largest concentration of health services in the country. It includes four hospitals and three medical research institutes, all of which have grown rapidly in recent times. IVF Australia (Virtus Health Ltd) until 28 March 2020 (30.2% by area). The property was purchased with a WALE of 7.8 years, and a vacancy of approximately 20% (by area). Since the property was purchased Management has been successful in reducing that vacancy to 7.3% by attracting two further high quality tenants, including Ramsay Healthcare to the property. high proportion of tax deferred income – the income was 100% tax deferred for FY 15, with continued benefits throughout the Fund term. The Fund provides Unit holders with sustainable, tax effective income returns. The pre-tax return on equity to Unit holders was 8.69% for FY 15. The Heathley Keystone Property Fund No. 31 was established in 2013 as a closed-end, single property, unlisted direct property fund with its only investment being the property located at 156 - 160 Grafton Street, Cairns, Queensland. The property provides 2,468 sqm of lettable area 100% leased to high quality medical tenants in the hospital precinct of Cairns within 500 metres of the Cairns Base Hospital, Ramsay Private Hospital and Cairns CBD. The Fund’s term has a term of five years, subject to approval by Special Resolution of Unitholders and commenced with a Loan to Value Ratio (LVR) target of no greater than 45%. The fund currently returns a net annual income of 10.25% to investors. It was revalued in early 2015 which resulted in a lift of the unit value of $1.21 per unit against the issue price in 2013 of $1.00. The Heathley Aged Care Property Fund provides an opportunity to invest in a high income yielding investment that is backed by the strong fundamentals of Australia’s high care aged care sector. Distribution yields for investors start from 8.0% per annum (FY17 forecast) paid quarterly with expected continual annual income growth. The Fund will acquire further leased high care aged care properties that meet the strict investment criteria, up to a total value of $200M. of income to investors in a resilient, non-cyclical sector reliant on non-discretionary spending and experiencing rapid underlying demand growth. The Fund’s exclusive access to further de-risked brownfield development (existing assets have potential for extensions and refurbishment which is currently being undertaken to improve their value by a minimum of $20M). The Manager intends to build a portfolio up to the value of $200 million, and manage the Properties with the aim of providing Investors with a stable income return and the potential for capital growth. All Properties will be assessed by the Manager in accordance with the Fund’s investment criteria prior to inclusion in the Portfolio. To achieve the Investment Strategy, the Manager will aim to acquire Properties which are diversified by operator and location, with long term leases in place, and multiple exit strategies. h2 operator occupancy rates, with industry wide rates of >92% for the past 15+ years. Australian residential aged care is a $14 billion industry, catering for people who can no longer live independently due to health reasons, or who require care. People typically move into residential aged care at the point when they require a level of clinical care that can no longer be provided in their own home. a Portfolio Management Period of up to five (5) years, during which the Properties will be actively managed. Prior to the completion of the Target Investment Term, the Manager will either recommend to Investors that the Fund dispose of the Properties within, or as soon as practicable following the Target Investment Term or, subject to Investor approval by Special Resolution, extend the Fund for a further period of up to two (2) years. Any extension will require approval by a Special Resolution of Investors. CrowdfundUP Pty Ltd (ACN 166 872 484) (“CrowdfundUP”) is not responsible for, or the issuer of, the Product Disclosure Statement accessible at the link above (“PDS”). Investors should consider the PDS before making any decision regarding any investment outlined in the PDS. CrowdfundUP makes no representation or warranty as to the accuracy or completeness, or any other aspect, of the PDS. CrowdfundUP will not be liable in relation to any investment decision in relation to the PDS. CrowdfundUP is an authorised representative of Big Start Pty Ltd (ABN 87 162 024 866) AFSL no. 474592. To the extent (if any) that anything on this website (including this page) constitutes advice, it is general advice and CrowdfundUP provides such advice as authorised representative of Big Start Pty Ltd. This website (including this page) and the PDS have been prepared without taking account of your objectives, financial situation or needs. Before acting on anything on this website (including this page) or the PDS, you should consider the appropriateness of the relevant information on this website and in the PDS having regard to your objectives, financial situation and needs. You should first obtain and consider the PDS before making any decision about whether to acquire any product referred to in the PDS. In making an investment decision, you must rely on your own examination of the PDS and the issuer of the relevant financial products, including the merits and risks involved. You should also consult your own financial, legal and tax advisers for advice. A Product Disclosure Statement for this particular financial product is available and can be obtained by clicking the download link in the below attachments section. An individual should consider the Product Disclosure Statement in deciding whether to acquire, or to continue to hold, the particular product outlined in the PDS. The Heathley Medical Development Fund No. 1 is listed by Heathley Asset Management Limited (Heathley). 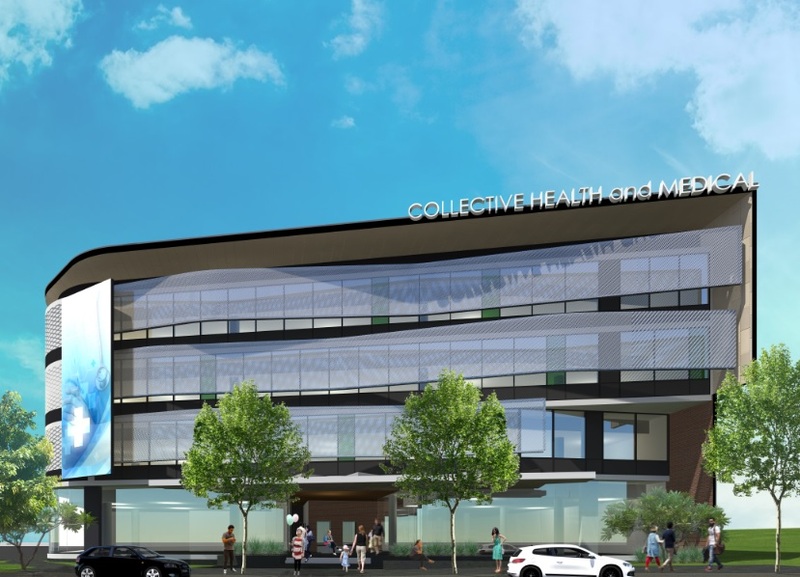 The Fund has been created to acquire and develop a Medical Centre strategically positioned opposite the Mater Hospital preceinct, located within metropolitan Brisbane, QLD. The Fund provides the opportunity to access development returns in a tightening yield environment, coupled with the attractive, long term investment fundamentals through the Fund's direct exposure to the medical sector. Investment will be available for only 2 weeks (closing 14th April 2017) so interested parties are advised to act quickly. 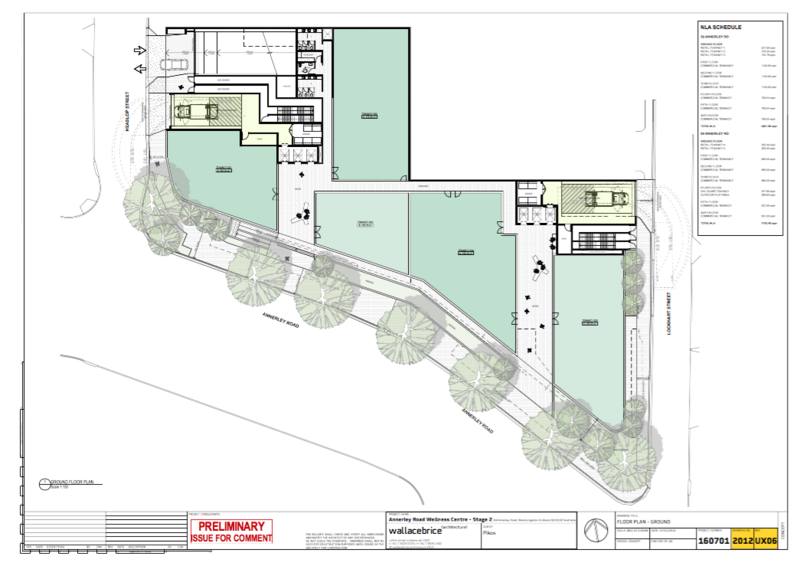 The Project’s strategy will be to reduce development risk by obtaining full development planning approval for a substantial medical property development and agreements for lease over the majority of the net lettable floor area before securing a Fund-through Buyer to acquire (at a minimum) the Fund’s 40% interest in the approved and pre- leased Project. The Fund-through Buyer will then fund the majority of the Project through to practical completion, realising development profit for the Fund. For further details please find Investment Memorandum attached or email derek@crowdfundup.com directly. CrowdfundUP is pleased to introduce its latest Wholesale investment opportunity via long term partner, Heathley. The Heathley Toowong Development Fund (Fund) is an unlisted fund that will be acquiring a 50% interest in the Goldicott House Trust, owner of the iconic Brisbane property, Goldicott House. The Goldicott House Trust owns a 100% freehold interest in 65 Grove Crescent, Toowong Queensland (Property). The Fund will partner with an experienced developer, Pikos Group, to assist in obtaining a development approval for the Property. Numerous value add initiatives – given the early stage of the project, there are multiple strategies to the Base Case Strategy that have the potential to enhance investor returns. Heathley is seeking to raise $4.5 million in equity to fund the acquisition of its 50% interest in the Goldicott House Trust as well as Fund and Project costs. Additional details can be reviewed in the attached Investment brief. Interest in the project is particularly strong and we anticipate the opportunity to invest only be a small window. Should you be interested in investing, please contact derek@crowdfundup.com for additional details and to arrange for investment documentation. The Heathley Direct Medical Fund No.2 is now open for investment, as further medical properties are being added to the portfolio, increasing its scale and diversification. The manager will seek to achieve the investment strategy by investing in a portfolio of properties which are diverse by type, tenant, return type, and location. If the properties have not been sold and the Fund wound up by the time of expiry of the Portfolio Management Period, the Investors will vote to liquidate or retain the fund. Heathley are a long-term partner of the CrowdfundUP platform, and are the Manager of the Fund. Heathley are a wholly owned subsidiary of Heathley Limited ACN 001 477 505 which was established in 1977. As at 31 March 2018, Heathley Asset Management Limited was managing ten property funds, with total funds under management of approximately $509M. Since 1991, Heathley Asset Management Ltd has successfully established 41 property funds, the majority of which have now been wound up and the properties sold. Andrew Hemming was appointed Managing Director in August 2013 and is responsible for the day-to-day leadership and management of Heathley. Prior to his appointment he was Investment Specialist – Real Estate Funds with Folkestone Limited. He has previously worked at Heathley from 2007 to 2011. He has had 11 years’ experience in investment markets with leading international financial institutions and stock broking houses in both Sydney and London. David Smithson has been involved in the development and implementation of large-scale retail financial services IT systems – principally banking, funds management and general and life insurance – in Australia, Asia and Europe for 35 years. His experience has included management of a large R & D project using leading-edge technologies and application standards, the development of complex implementation programmes utilising industry-standard methodologies, through to hands-on product marketing and sales strategies. Most recently, he provided strategic consulting to financial services multi-nationals headquartered in Europe on the deployment of new, integrated systems. He is the Chairman of Heathley’s IT Committee. George Websdale is primarily responsible for the acquisition, management and sale of all properties of the Heathley property funds. He has over 20 years’ experience in all aspects of the management and investment management of commercial and industrial property across Australia. Prior to joining Heathley, he was General Manager, Office and Industrial at Stockland Property Group. He is a Member of the Australian Property Institute. Peter Hemming established Heathley Limited in 1977 and is its Founding Chairman. He is involved with Heathley in a consulting role on strategic matters, property acquisition and special projects, as well as have a continuing interest in private client relationships. He is the Founding Chairman of Heathley Asset Management Limited. He is a former Member of the External Advisory Panel of ASIC. He is the Chairman of Epic Private Journeys and a Member of the Advisory Board of Renoir Consulting. Toby is responsible for the management and strategy execution across all Heathley property funds. Toby has been involved in the funds management and advisory industry for over ten years. He joined Heathley in March 2014, having previously worked at Folkestone Limited as Investment Manager for their direct property and fund investments. Prior to joining Folkestone, Toby worked at Mirvac as Analyst for the Mirvac Industrial Trust, and at Deloitte in both their Assurance & Advisory and Corporate Finance Divisions. John Stuckey was with management consultants McKinsey & Company for over 25 years, where he advised senior executives of major Australian companies on strategy and organisation issues. He was the Managing Partner of the Australasian practice, Chairman of McKinsey & Company Asia, as well as a Board Member of McKinsey Global. He is a former Chairman of the External Advisory Panel of ASIC. He was a Member of the Heathley Advisory Board for six years prior to his appointment to Chairman of Heathley. Vijitha is responsible for the analysis and financial modelling for the funds. Vijitha has over 10 years’ of experience in the areas of property funds management, corporate finance and Management Accounting. Before joining Heathley, Vijitha worked for Investa Property Group as the Fund Analyst for Investa’s Investment Portfolio, Listed and Mandate Funds. She also worked in the Corporate Transaction division at Investa. Peter Barnes has a long career in the property industry most recently having been Executive Vice President, Head of Property Lending for the Commonwealth Bank of Australia, Institutional Bank. He has previously held roles at Lend Lease, and CRI Australia where he was Managing Director for 21 years. He is currently, a Non-Executive Director of the Valad V+ Fund, Non-Executive Director of Capstone Recruitment, Chairman of the Investment Committee for Charter Hall Core Plus Office Fund, Chairman of PPB Advisory, Real Estate Practice, and Advisory Board Member of Taylor Construction Group. He has previously held Board positions with Goodman Australia, FKP Funds Management, Australian Property Institute and Property Council of Australia.